Background: Cognitive errors have been presented as effective factors in the creation and continuation of obsessive–compulsive disorder and social anxiety disorder. Psychological resilience is an important factor in the tolerance of cognitive errors. Objective: The present study aimed to compare cognitive errors and the psychological resilience of patients with social anxiety disorder and those with obsessive–compulsive disorder. Methods: This cross-sectional study investigated a total of 60 patients, 30 with social anxiety disorder and 30 with obsessive-compulsive disorder (OCD), seen at a hospital in Zanjan city, Iran, in 2017. Participants were aged between 15 and 50 years. Participants were chosen using convenience sampling and on the basis of psychiatrist diagnosis and structured diagnostic interviews (SCID-I, II) according to the inclusion and exclusion criteria. The Cognitive Errors Questionnaire (CET) and the Connor-Davidson Resilience Scale (CD-RISC) were used to assess the variables. Results: A significant difference was observed between the two patient groups in the cognitive errors components (P ≤ 0.05). In patients with OCD, the highest average rate of cognitive errors was related to catastrophizing and splitting error. In patients with SAD, the highest mean rate of cognitive errors was related to catastrophizing. There was no significant difference in psychological resilience between the two groups. Conclusion: Cognitive errors play an important role in OCD and social anxiety disorder (SAD). OCD patients were observed to make more cognitive errors than SAD patients. However, psychological resilience was equal between both groups. Mohammadi A, Zargar F, Omidi A, Bagherian S. Models of sociology of social anxiety disorder. J Res Behav Sci. 2013;11(1):68-80. [Persian]. Sadock BJ, Sadock VA, Ruiz P. Kaplan and Sadock’s Synopsis of Psychiatry: Behavioral Sciences/Clinical Psychiatry. 11th ed. New York: Wolter Kluwer; 2015. Mousavi E, Gharraee B, Ramazani Farani A, Taremian F. Comparison of cognitive errors and rumination in obsessive-compulsive and social phobia disorders. Iran J Psychiatry Clin Psychol. 2017;23(1):10-21. doi:10.18869/nirp.ijpcp.23.1.10. Alovy LB, Riskind JH. Cognitive Vulnerability to Emotional Disturbances. Trans. by Yousefi R. Routledge; 2005. [Persian]. Leahy RL, Holland SJ. Treatment Plans and Interventions for Depression and Anxiety Disorders. New York: The Guilford Press; 2014. Hoseininejad M, Sharifabadi M, Ghayoumi Anaraki Z, Sobhani Rad D. Study of social anxiety components in people who stutter. 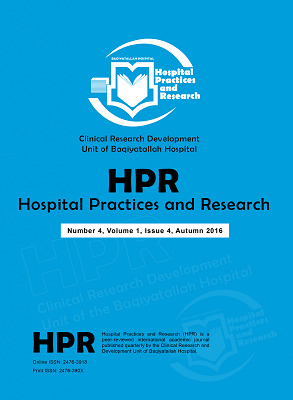 Journal of Paramedical Science and Rehabilitation. 2016;5(1):38-44. doi:10.22038/JPSR.2016.6384. [Persian]. Dobson KS. Handbook of Cognitive-Behavioral Therapies. New York: The Gillford Press; 2010. Christoffel DJ, Golden SA, Russo SJ. Structural and synaptic plasticity in stress-related disorders. Rev Neurosci. 2011;22(5):535-549. doi:10.1515/RNS.2011.044. Campbell-Sills L, Stein MB. Psychometric analysis and refinement of the Connor-davidson Resilience Scale (CD-RISC): Validation of a 10-item measure of resilience. J Trauma Stress. 2007;20(6):1019-1028. doi:10.1002/jts.20271. Benetti C, Kambouropoulos N. Affect-regulated indirect effects of trait anxiety and trait resilience on self-esteem. Pers Individ Dif. 2006;41(2):341-352. doi:10.1016/j.paid.2006.01.015. Soltani Z, Jamali N, Khojasteniam A, Dargahi S. Role of self- efficacy and psychological resiliency in academic procrastination of students. Educ Strategy Med Sci. 2016;9(4):277-284. [Persian]. Hjemdal O, Aune T, Reinfjell T, Stiles TC, Friborg O. Resilience as a predictor of depressive symptoms: a correlational study with young adolescents. Clin Child Psychol Psychiatry. 2007;12(1):91-104. doi:10.1177/1359104507071062. Scali J, Gandubert C, Ritchie K, Soulier M, Ancelin ML, Chaudieu I. Measuring resilience in adult women using the 10-items Connor-Davidson Resilience Scale (CD-RISC). Role of trauma exposure and anxiety disorders. PLoS One. 2012;7(6):e39879. doi:10.1371/journal.pone.0039879. Min JA, Jung YE, Kim DJ, et al. Characteristics associated with low resilience in patients with depression and/or anxiety disorders. Qual Life Res. 2013;22(2):231-241. doi:10.1007/s11136-012-0153-3. Neisi A, Shahani Yeilagh M, Farashbandi A. Investigation of simple and multiple variables of self esteem, generalized anxiety, perceived social support and psychological hardiness with social anxiety in female students in Abadan. J Educ Sci Psychol. 2005;12(3):137-152. Meyghoni D. The preliminary study of the relationship between personality clusters and cognitive errors [thesis]. Tehran: Psychiatric Institute; 2001. [Persian]. Connor KM, Davidson JR. Development of a new resilience scale: the Connor-Davidson Resilience Scale (CD-RISC). Depress Anxiety. 2003;18(2):76-82. doi:10.1002/da.10113. Besharat M, Abbaspoor T. Relationship of Metacognitive strategies and creativity with resiliency in students. New Findings in Psychology. 2011;5(14):11-24. [Persian]. Spitzer RL, Williams JB, Gibbon M, First MB. The Structured Clinical Interview for DSM-III-R (SCID). I: History, rationale, and description. Arch Gen Psychiatry. 1992;49(8):624-629. Sharifi V, Asadi SM, Mohammadi MR, et al. Reliability and feasibility of the Persian version of the structured diagnostic interview for DSM-IV (SCID). Adv Cogn Sci. 2004;6(1-2):10- 22. Bakhtiari M. Epidemiology of mental disorder in body dismorphic disorder [MSc thesis]. Tehran: Iran University of Medical Sciences; 2000. [Persian]. Sajadian M, Shahrivar Z, Mohammadi A, Artonian V. Study on attention deficit Hyperactivity and personality disorders in parents of children with the same disease: brief report. Tehran Univ Med J. 2016;74(8):601-606. Kramer GP, Bernistein DA, Phares V. Introduction to Clinical Psychology. Trans. by Firuzbakht M. Boston, MA: Pearson; 2011. Wilson KA, Chambless DL. Inflated perceptions of responsibility and obsessive-compulsive symptoms. Behav Res Ther. 1999;37(4):325-335. Pirbaglou M, Cribbie R, Irvine J, Radhu N, Vora K, Ritvo P. Perfectionism, anxiety, and depressive distress: evidence for the mediating role of negative automatic thoughts and anxiety sensitivity. J Am Coll Health. 2013;61(8):477-483. doi:10.1080/07448481.2013.833932. Leathy R. Cognitive Therapy Techniques. Trans. by Fati L. The Guilford Press; 2014. Muris P, Mayer B, den Adel M, Roos T, van Wamelen J. Predictors of change following cognitive-behavioral treatment of children with anxiety problems: a preliminary investigation on negative automatic thoughts and anxiety control. Child Psychiatry Hum Dev. 2009;40(1):139-151. doi:10.1007/s10578-008-0116-7. Rizzo L, Peter T, Peter L, et al. Cognitive Schemas and Fundamental Concepts in Psychological Problems: Practical Guide for Specialists and Therapists. Trans. by Moloodi R, Ahmadi A. American Psychological Association; 2007. Clark DA, Beck AT. Cognitive Therapy of Anxiety Disorders. New York: The Guilford Press; 2010. Calvete E, Orue I, Hankin BL. Early maladaptive schemas and social anxiety in adolescents: the mediating role of anxious automatic thoughts. J Anxiety Disord. 2013;27(3):278-288. doi:10.1016/j.janxdis.2013.02.011. Galassi JP, Galassi MD. Modification of heterosocial skills deficits. In: Bellack AS, Hersen M, eds. Research and Practice in Social Skills Training. New York: Plenum; 1979. doi:10.1007/978-1-4899-2192-5_5. Charney DS. Psychobiological mechanisms of resilience and vulnerability: implications for successful adaptation to extreme stress. Am J Psychiatry. 2004;161(2):195-216. doi:10.1176/appi.ajp.161.2.195. Egeland B, Carlson E, Sroufe LA. Resilience as process. Dev Psychopathol. 1993;5(4):517-528. doi:10.1017/S0954579400006131.